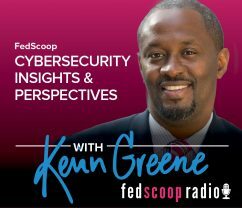 OWASP Global Board Member Matt Konda speaks with host Kevin Greene about what to expect from this year’s AppSec USA conference. AppSec USA is a world-class software security conference for developers, auditors, risk managers and the world’s top practitioners to share the latest research and practices to improve software security. AppSec USA keynote speakers to include Dan Geer, Joe Jarzombek, Matthew Green and Samy Kamkar. This year’s theme will focus on the security practices for the Internet of Things and DevOps. Konda also discusses OWASP’s Women in AppSec initiative, and the importance in attracting more women into OWASP and the AppSec workforce. AppSec USA 2016 will be held in Washington, D.C., from Oct. 11 to 14.